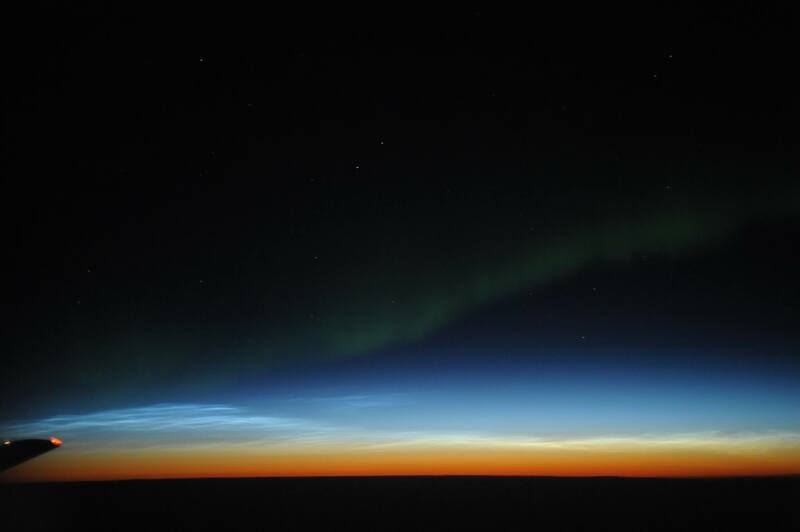 The 2013 meeting in Fairbanks, Alaska was a huge success! Thank you to everyone who participated, attended, or sent good wishes. 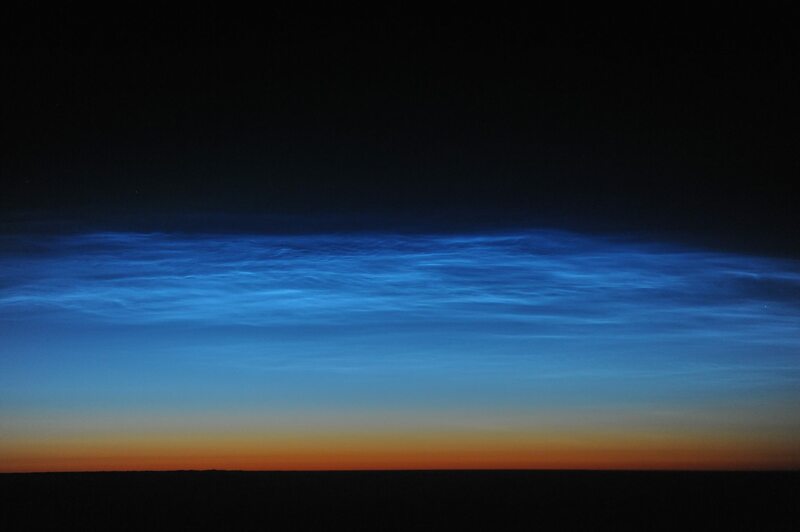 We had a beautiful display of noctilucent clouds late on the meeting, as is shown in this image (copyright Joseph A. Shaw). 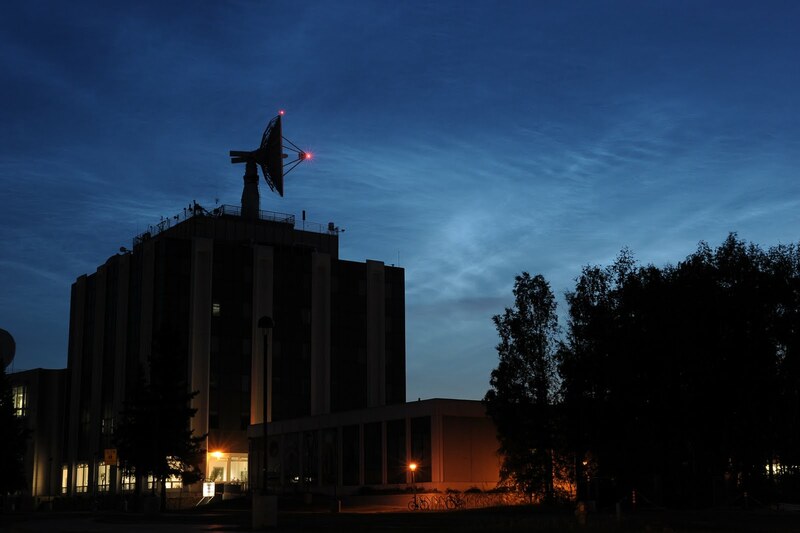 Noctilucent clouds and the Geophysical Institute (Joseph A. Shaw). 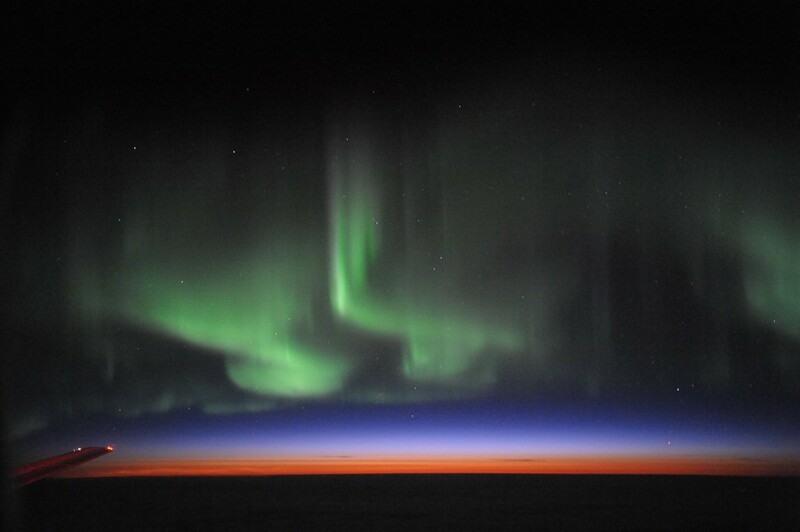 Aurora Borealis from 11.8 km over central Canada (Joseph A Shaw). Here is a link where you can view 260 of my pictures from this trip. This entry was posted in 2013 meeting by Joe Shaw. Bookmark the permalink. Joseph Shaw is Director of the Optical Technology Center and Professor of Electrical Engineering, Optics, and Physics at Montana State University in Bozeman, Montana. He loves to photograph, study, and teach about optical effects in nature. His PhD is in Optical Sciences from the University of Arizona.